The International Bomber Command Centre is a world-class facility which serves as a point for recognition, remembrance and reconciliation for Bomber Command. Providing the most comprehensive record of the command in the world, the IBCC ensures that generations to come can learn of their vital role in protecting the freedom we enjoy today. The IBCC have come across many stories of relating to the tragic loss of these airmen. One story is that of Norman Gorfunkle. Norman was born in Liverpool on 5 August 1920. His father, Wolfe was the son of Jewish Polish immigrants who arrived in the UK in the 1850’s and owned a second-hand furniture store in Liverpool. His father died when he was thirteen and the family moved back to London, his mother's home city with his sister, Naomi, in 1936 and were living in the Cricklewood area of NW London. 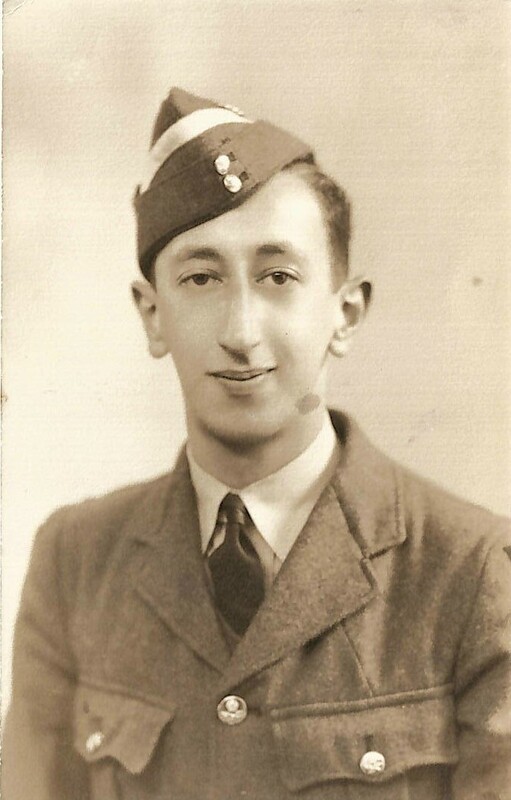 Norman worked as an office clerk before he volunteered for the RAF, as a trainee observer, on the 2nd August 1940 aged 20. After training he became a Sergeant Observer and joined 76 Squadron on the 31st August 1942. On the 7th November 1942, Halifax DT515 took off from RAF Linton on Ouse on a bombing raid to the ports of Genoa to obstruct the supplies of German war materials. The aircraft was hit by flak above France and was abandoned due to engine problems. The aircraft crashed and exploded in a forest near Chaumont. Just before the crash the crew managed to bale out. The crew members managed to avoid being captured until the next day when five of them, Sgt H White RCAF, Sgt P McBride RNZAF, Sgt HW Owen, Sgt DL Reed and Norman were arrested in a house in the woods. Norman was seriously injured and was taken to hospital at Chaumont where he sadly died of his injuries, and was buried in the cemetery of Saint Aignan, Chaumont. He was 22 years old. F/S G Thom escaped via Switzerland but was taken prisoner at Perpignan trying to reach Spain and Sgt LW Horne evaded to England via Switzerland in September 1944. 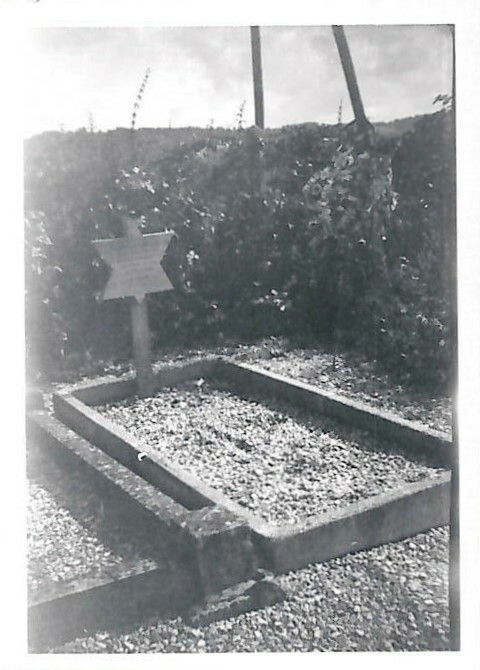 The Germans did not know that Norman was Jewish and so the grave was inscribed with a cross. When Norman’s mother arrived from England in 1948, she put a bag over the headstone until she could get a new headstone made with a Star of David. It was in place within days and later replaced by a Commonwealth War Grave headstone. Norman’s collection has been digitally scanned for the IBBC archive and contains photographs, documents and the final letter he wrote to his sister a week before he was killed.